Here is something I have been dying to share with the world for what feels like a life time, and today I am finally able to share it with you all on my website! About a year and a half ago I was inspired by a beautiful song and animation created to the melody of Igor Stravinsky's Firebird suite. I have always had a soft spot for all things slightly magical and, well, this was no different. I was spellbound. And I knew I just had to create something from the fire it ignited within me (no pun intended). For those of you who haven't seen it, I suggest a quick google search of "Igor Stravinsky Firebird - Fantasia". Young or old, you wont be disappointed. At the start of this year I pulled together an amazing team of vendors to help bring this mythical world right into Woodhill Forest and to say I was blown away by what they each brought to the table is the biggest understatement I could make. My heart is filled with so much gratitude and Love for everyone who was involved and Im so glad you are all apart of my life! Enough Ramblings from me though, Hit play to the song that inspired it all and enjoy this story of a Mythical and magical world, inspired by classical music and tales of spellbinding adventures. 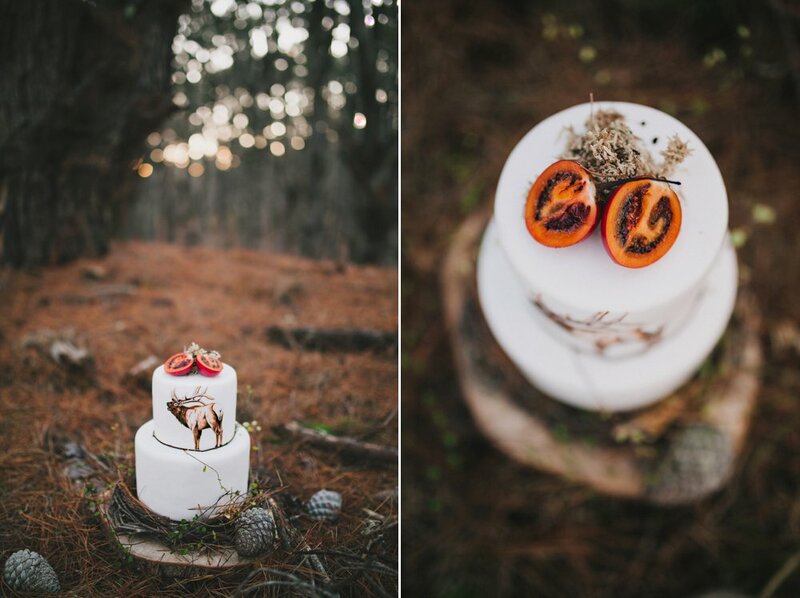 Photos Amy Kate Photography // Styling and prop hire Two Foxes Styling // Bridal gown Hera Bridal // Coordinator Truly and Madly // Flowers Muck // Hair Inspired Hair // Makeup Shona Stevenson // Stationery Little Paper Store // Cake Sweet Deer // Signage The Confetti Collection.